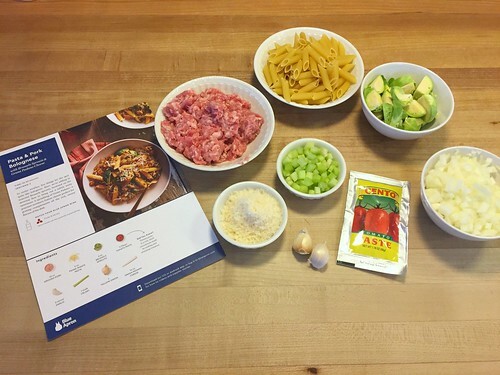 This is a sponsored post on behalf of Blue Apron — who is generously offering a $60 discount off the first 4 weeks of your Blue Apron subscription via this link. As we approach Clara’s FIRST birthday next week (seriously, where did that year go), I’ve thought a lot about the past year — probably my last year with a little baby. Along with all the somewhat-sentimental thoughts about the various “lasts” we’ve experienced this past year, I can’t help but also feel excited about all the new things our family will be able to do and experience now that we’re slowly inching our way out of the baby stage of life. And of course there’s the fact that I’ll (hopefully) never gain that much weight ever again! 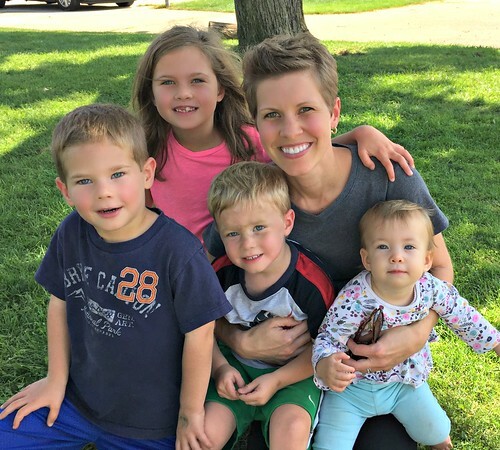 Over the years, so many of you have asked for tips on losing the baby weight; but I’m not a dieter, and I almost never exercise… so I fear I’m not the best person to ask about weight loss! However, as I thought through this past year of shedding my baby weight (most likely for the last time), the single thought that kept coming back to me over and over and over again was the simple fact that we eat almost every single meal AT HOME. I make 3 meals a day for everyone in our family — whether it’s waking up early to make a hot breakfast for everyone, packing lunches the night before, or religiously planning our weekly meals to incorporate as many vegetables as I possibly can — we eat at home and save so many calories as a result. 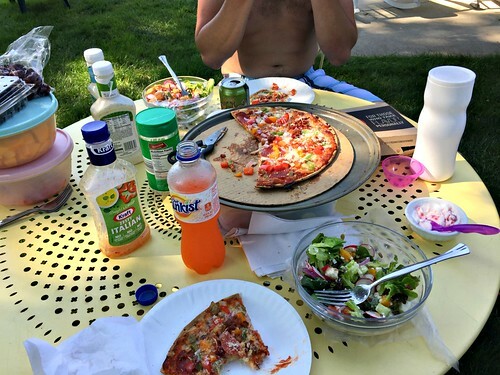 On the rare occasion we get Culver’s or order pizza, we still almost always eat it at home — which means we also have salads, a platter of raw veggies, and lots of fresh fruit to go along with our fast-food splurge. 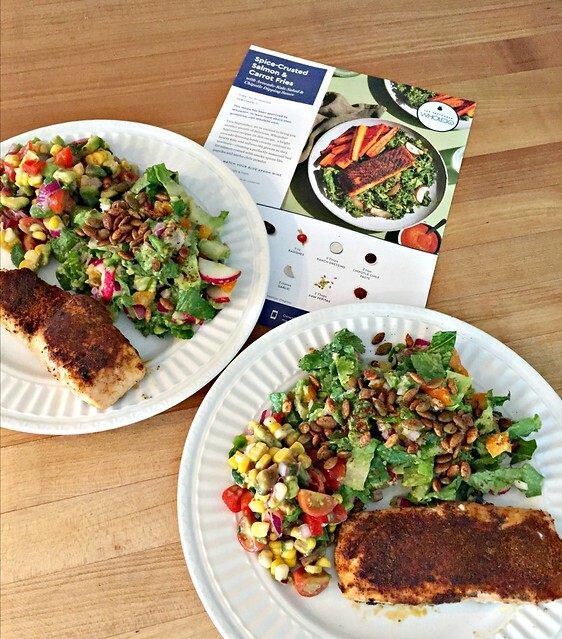 One other way we enjoy nutritious food treats from the comfort of our home is with Blue Apron meal deliveries. 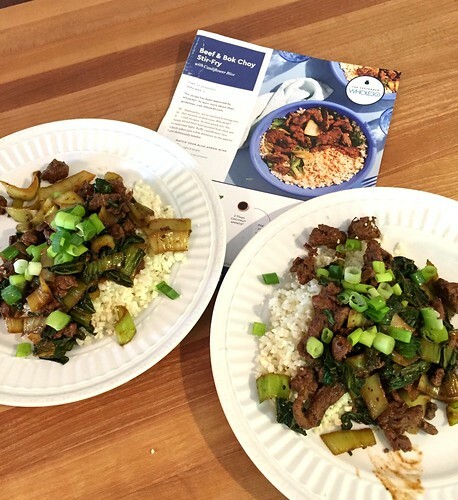 I know I’ve already shared so much about Blue Apron on the blog… but the truth is, we really REALLY enjoy using this service! 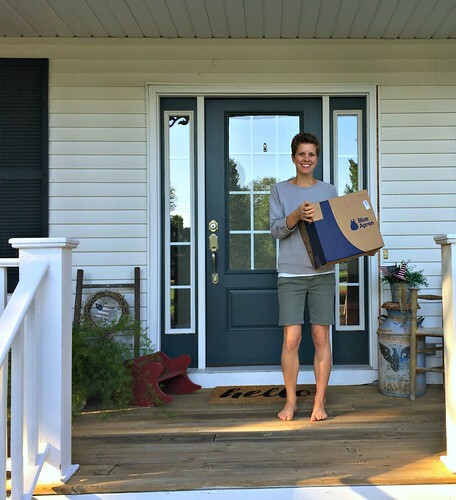 It’s been almost 5 years since the first box arrived on our front porch, and we’ve never looked back! Those recipes might sound intimidating, but they’re NOT! 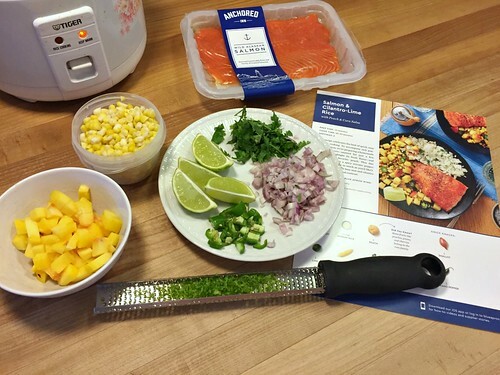 Every Blue Apron box comes with super detailed recipe cards with full-color images documenting every step of the process. Plus, all the ingredients are pre-measured and pre-portioned, so it’s almost impossible to mess something up! 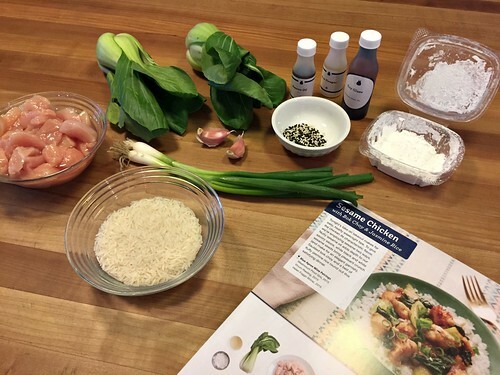 Even a novice chef can handle any Blue Apron recipe – as long as you can read and follow directions! These meals are fantastic at-home date night treats for Dave and me, and a fun way to introduce our kids to a new food they’ve never had before because I don’t keep those more “exotic” ingredients in the house. 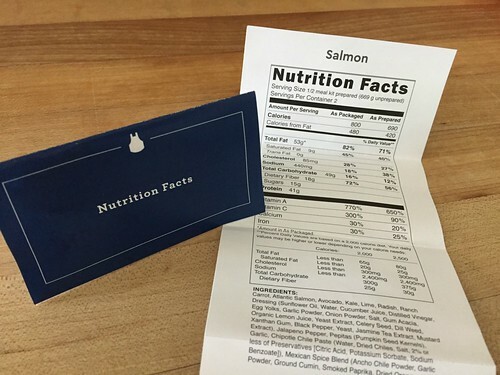 One other thing I have come to appreciate about our Blue Apron meals is that every single recipe comes with detailed nutrition facts, calorie count, daily percentages, ingredient list, etc. so we know how much we are eating per portion. Every recipe has between 400 and 800 calories per serving (a fraction of the calories of any meal at a restaurant) and the ingredients are super fresh — sustainably sourced seafood, farm-fresh seasonal produce, meat with no added hormones, etc. 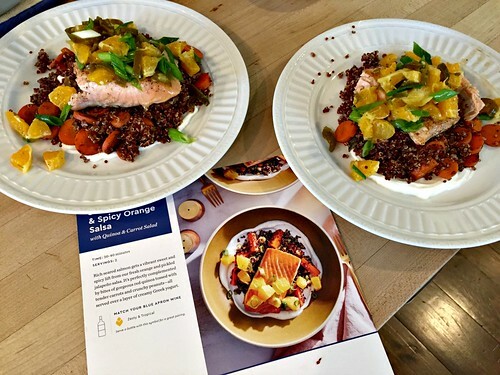 Blue Apron offers plenty of vegetarian AND vegan options every week… and just this month, they rolled out a new line of Whole 30 approved recipes! 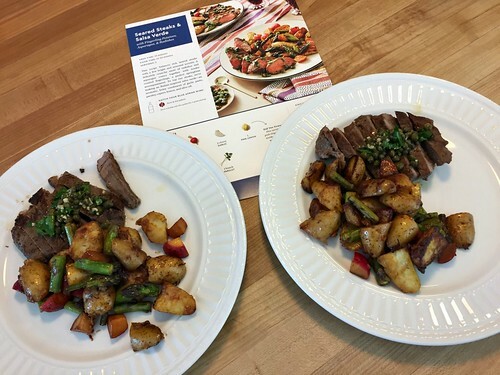 Even though Dave and I have never done a Whole 30 diet (nor do we plan on doing one in the future) we decided to try 3 of the new Whole 30 meals for our most recent Blue Apron shipment! We thoroughly enjoyed every bite of our Spice-Crusted Salmon, Beef & Bok Choy Stir-Fry, and Dukkah-Crusted Pork Roast. Seriously, they were SO yummy, and all foods I wouldn’t normally make on a weekly basis. 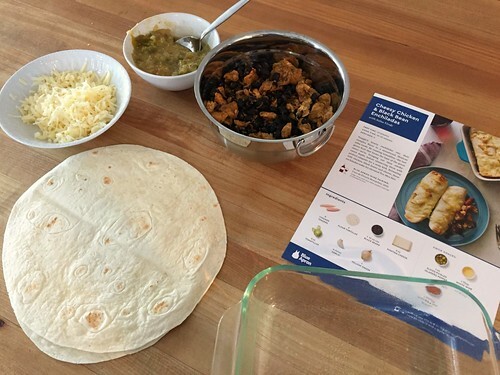 I love that we can pick and choose whatever recipes sound best to us for each shipment, and skip as many weeks in between shipments as works with our schedule. 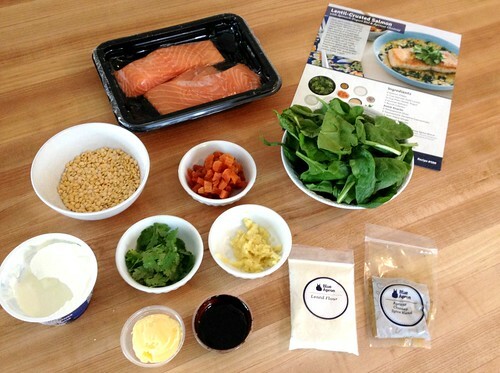 Blue Apron is such an easy and hassle-free service we will continue to enjoy for many months/years to come! 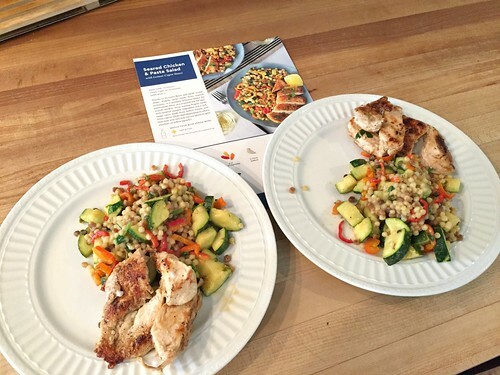 If you’re looking to cut calories or stick to a specific diet plan… Blue Apron offers SO many recipe options to accommodate different food preferences. 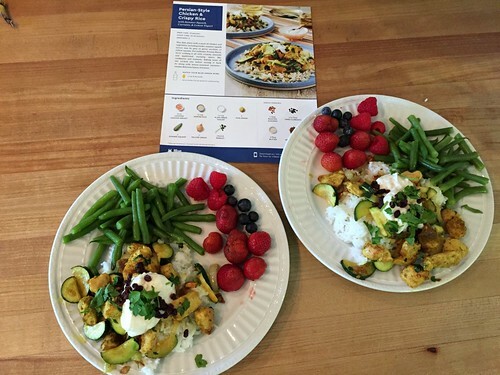 If you want to save money eating at home… Blue Apron is so much less expensive than paying a babysitter and going out! 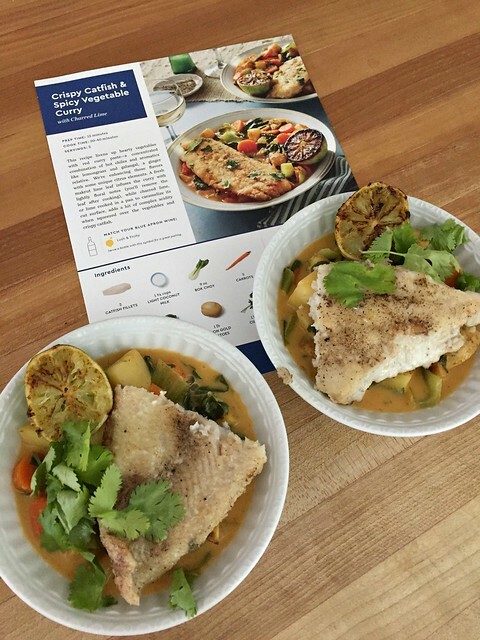 If you’d like to step out of your cooking comfort zone and try new ingredients and new cooking techniques… Blue Apron can help. 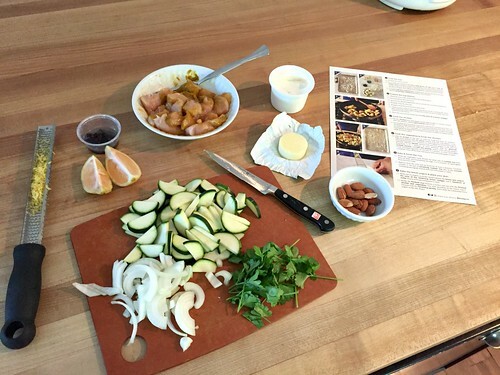 If you’d like a mini break from planning every single meal of every single day… Blue Apron will give you that break. 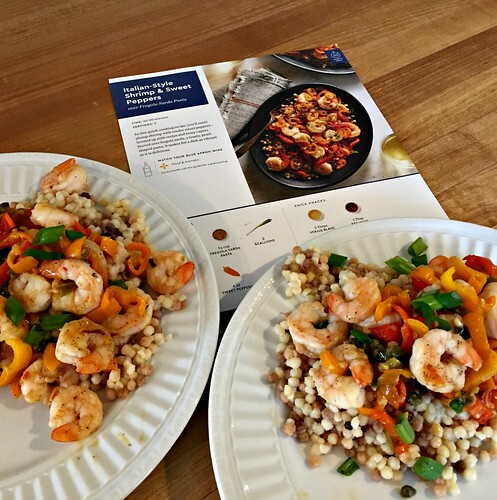 Blue Apron will also give you a discount! They are currently offering $60 off 4 weeks worth of meals to anyone who places their first order via this link! From a fellow sweetaholic, how do you control your sweet tooth? I totally agree with this! I do not like to diet at all. 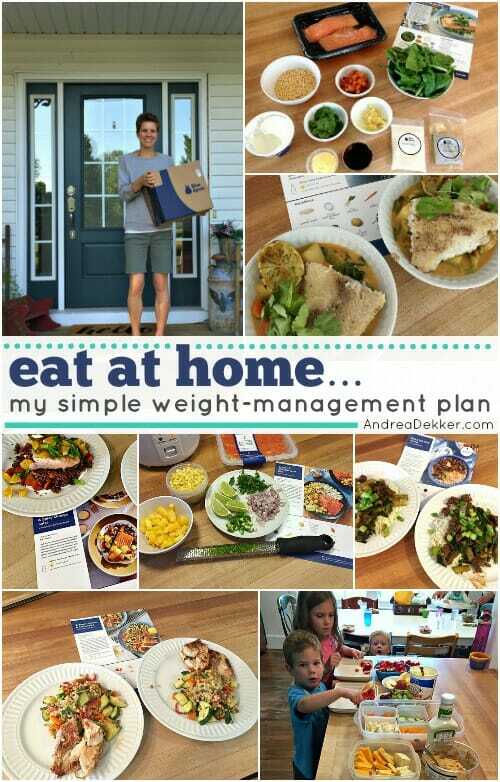 Like you, I feel like eating at home saves so many calories naturally (and money, of course), and it’s generally healthier. I could stand to lose a little weight (like 10 pounds) but I know I would likely be much heavier if I didn’t eat at home so much. This includes packing lunches for all of us (me, hubby, son) every day. yes, good point about packing lunches (and snacks and drinks). Dave always brings his own coffee with him in the morning too — he would spend SO much money and drink SO many more calories if he purchased a specialty coffee every morning on his way to school! Do you order for two and give the kids tastes? My son is the same age as Nora and we did Blue Apron when he was a toddler but stopped once he started eating more of what we ate because I didn’t think he’d go for these. Now that he’s 6 (almost 7 – gulp! ), maybe he’d try them? 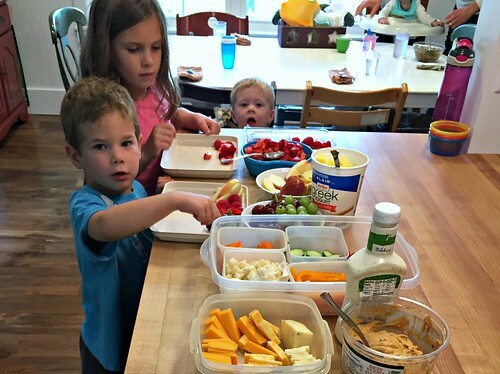 yes, we almost always just order for 2 now — as it’s more fun to try adventurous foods when we don’t have to worry about if our kids will like it or not! Sometimes, I get the family plan (4 large servings) which is plenty for our family. I just saw this quote: “Staying IN is the new going out.” I like that! haha — I like it too!